The shop at the mountain summit, inside the Grand Manitou, has long been a go-to for last minute heating needs. Who’s never needed to get a “HotShot” or a neck warmer on the go? Well this year the shop has been completely redesigned to deliver a superior shopping experience. Among the changes, a wide range of Kombi products now occupy a prominent place in the new modern and open retail space. 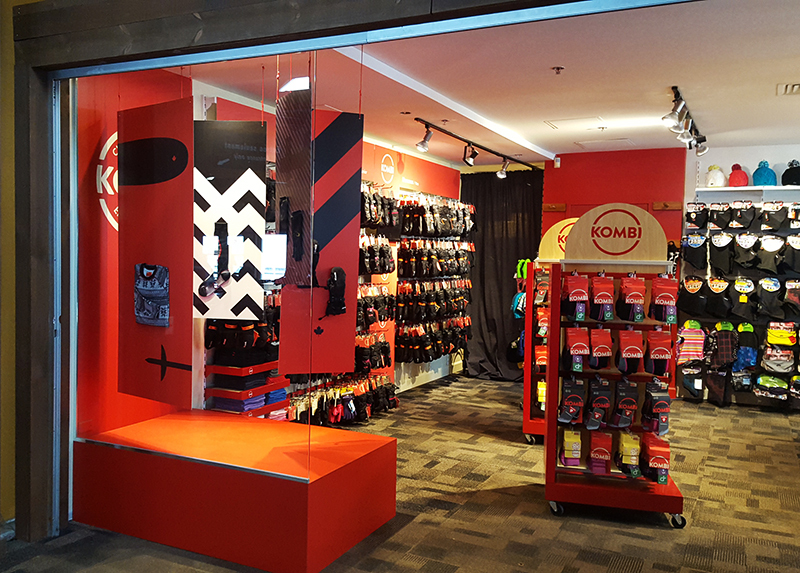 Founded in 1961, Kombi is a family-owned Canadian brand recognized as an international leader in winter sports accessories, catering to outdoor winter enthusiasts of all kinds. With their carefully crafted gloves and mitts, their warmth expertise also extends to their entire range of accessories such as base layers, socks and hats. We are happy to now have a full Kombi product collection line at the summit shop! 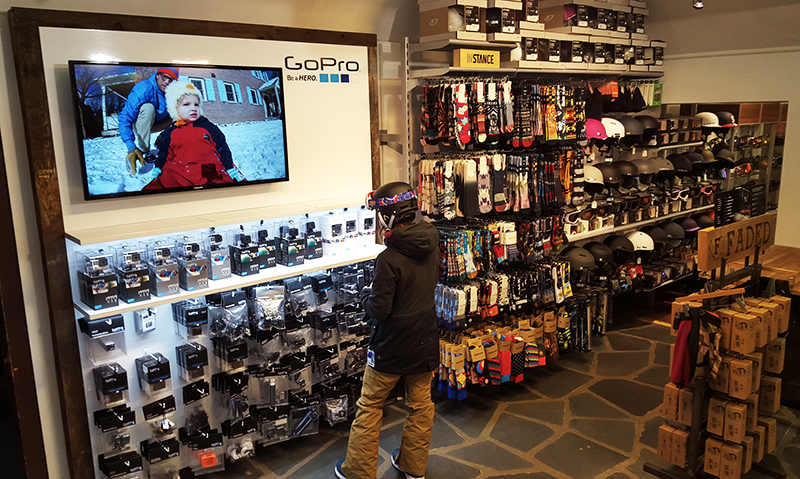 The Adrenaline shop also has a great new feature in its main front section: a 6’ x 5’ display wall dedicated exclusively to showcasing a wide range of GoPro cameras and accessories. Adrenaline is thus THE GoPro authority in Tremblant. Described as the world’s most versatile cameras, GoPro lets people shoot and share the best moments of their trips with incredible photos and videos. Whether you’re carving the slopes, touring the glades, riding the rails, or soaking up the après-ski sun, Tremblant is an amazing place to capture with a GoPro. This winter, share your photos with us for a chance to win great prizes! Find out more by visiting tremblant.ca/GoPro.